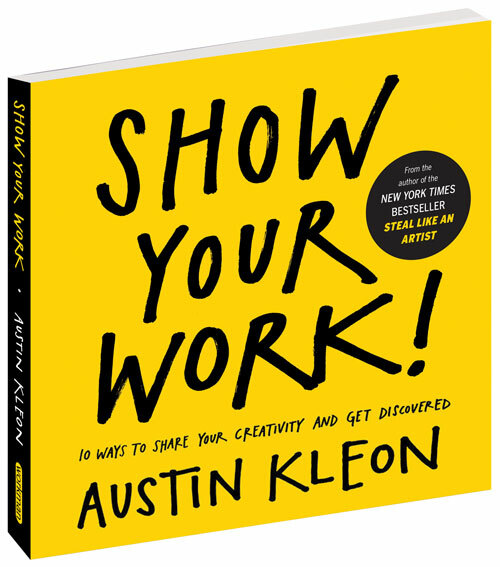 Inspirational: Show Your Work by Austin Kleon - Riot, Riot! I recently read this very awesome book by Austin Kleon. It’s that kind of book that makes you want to go back, take notes, work with it, abuse it, read it again, give it to friends… and that’s exactly what I’ve been doing. Thanks Austin, for one of the better reads I have had recently. I highly recommend you to buy this, if you need a little extra push to cater to your creative side. It’s even available in China – I found it on Amazon. And in case you cannot get enough, there’s a very good TED talk with Austin.